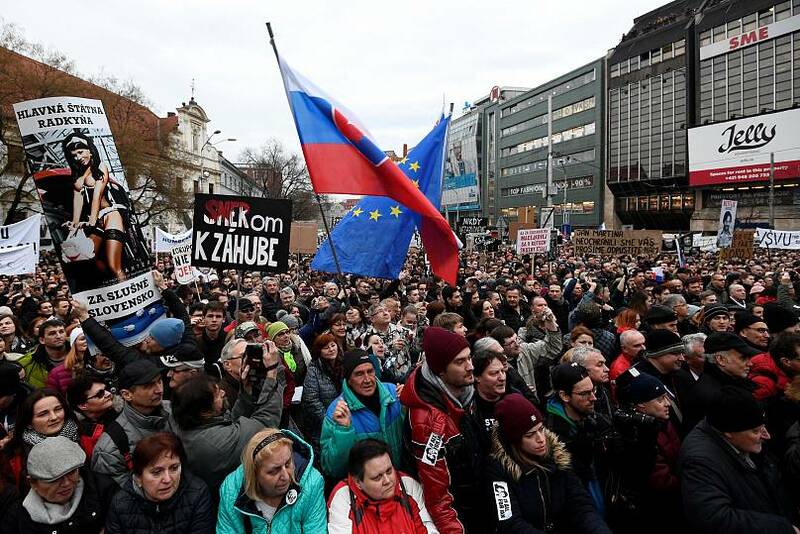 Slovakia held anti-government protests on Friday in what is thought to be one of the country’s largest demonstrations since the fall of Communism. 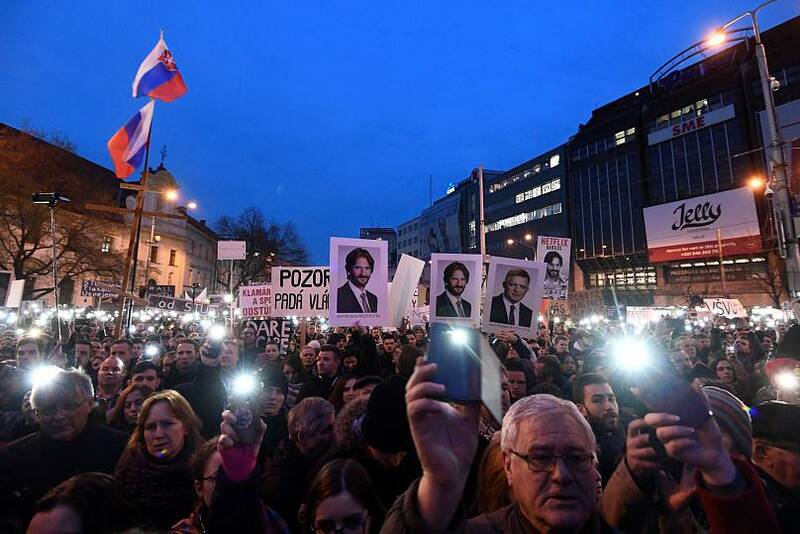 Tens of thousands of Slovaks hit the streets of the capital Bratislava, upset over the murder of journalist Jan Kuciak. Investigative reporter Kuciak was probing alleged links between the Italian mafia and figures close to Slovakia’s Prime Minister Robert Fico when he was killed at home last month with his fiance. 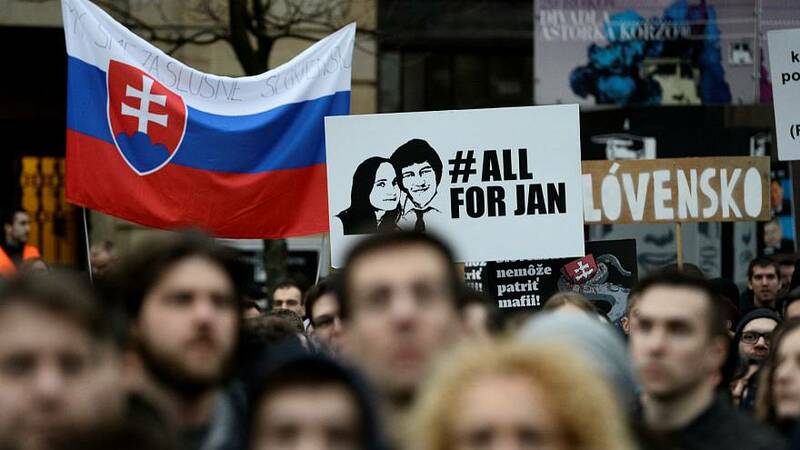 Two Slovak officials, who were named in Kuciak’s report, have since resigned but deny any connection with the murder. Nobody has been charged with the killings. The case has stoked anger over alleged sleaze in public life: it is estimated more than 40,000 people protested on Friday. Many demonstrators held placards calling for Fico to step down. 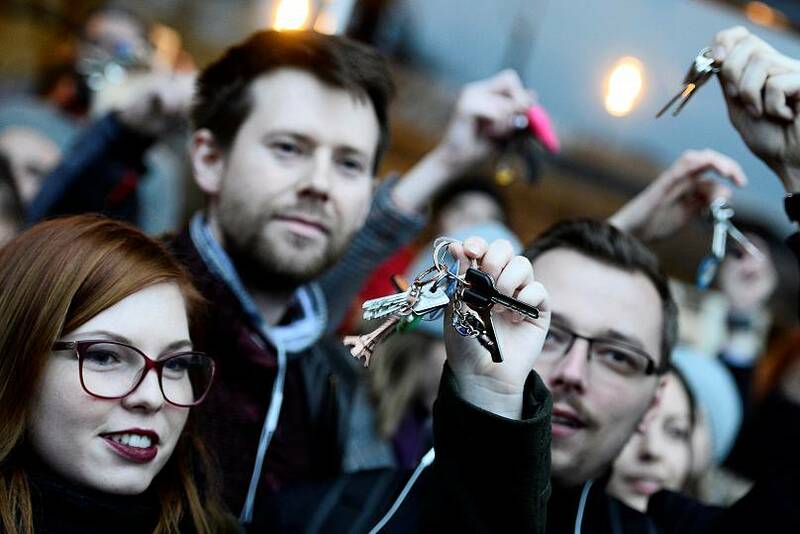 He has led the country for 10 of the last 12 years and the economy has flourished, but the protesters in Bratislava chanted "Enough of Fico" and jangled keys just as they did in 1989 anti-communist rallies. "Politicians in power have lost our trust," said protester Maria Kuliovska, a 30-year-old mother on maternity leave. "We don't trust them to guarantee an independent investigation. They have failed to investigate all previous scandals." 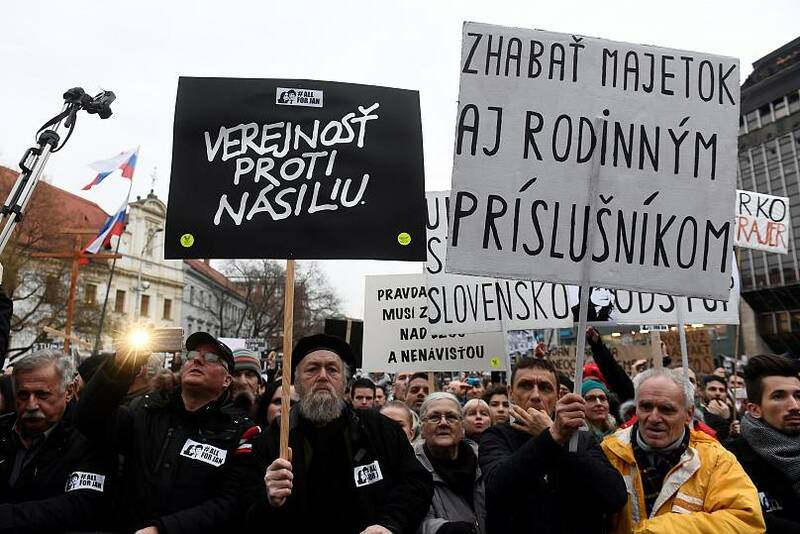 Slovak media called the protest the biggest since 1989. Some universities let students out early. One of the country's largest banks, Slovenska Sporitelna of the Austrian group Erste Bank, said it would allow its employees to leave work early to take part. Fico said he would meet his two coalition partners at the weekend to seek a deal to keep the government in place. He has resisted a call from the Most-Hid party to sack Interior Minister Robert Kalinak, his close ally. Some analysts say Fico's coalition could break up, though he might be able to continue leading a minority government with the backing of a far-right party in parliament. 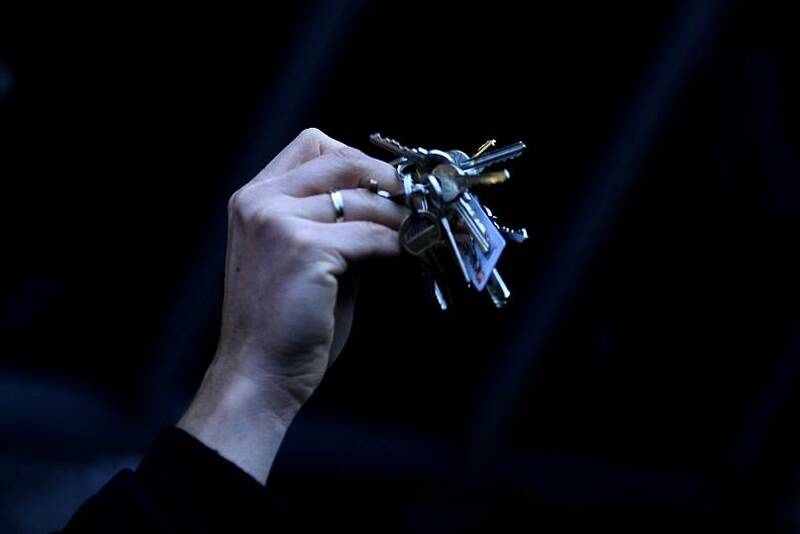 Martin Slosarik, an analyst at Focus polling agency, said Fico had never faced a crisis on this scale. "Kuciak's last story has had a serious impact on people's trust in the system of government, and the murder of two young people has added a strong moral aspect," he said.